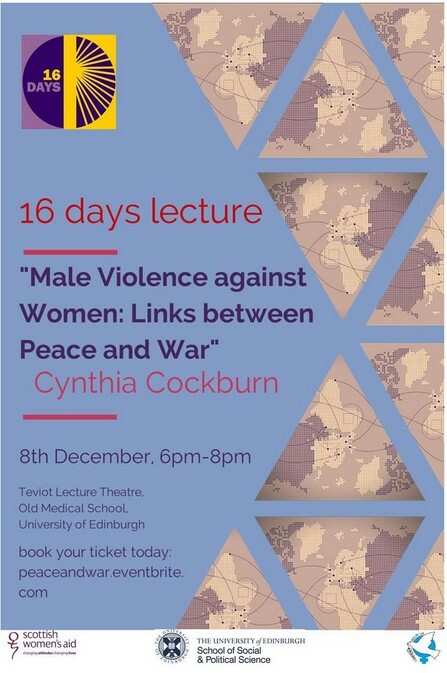 Today, Monday 8th December, the School of Social and Political Science, in partnership with Scottish Women’s Aid and PeaceWomen is holding a 16 Days Lecture. The lecture is being delivered by feminist researcher and writer Cynthia Cockburn and is titled Male violence against women: links between peace and war. The 16 Days of Activism Against Gender Violence is an international campaign that started on 25 November, International Day for the Elimination of Violence against Women and ends on 10 December, Human Rights Day. The campaign hopes to raise awareness about gender-based violence as a human rights issue at the local, national, regional and international level. 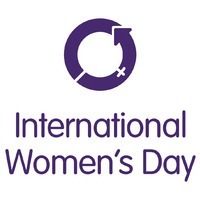 International Women’s Day (IWD) was celebrated on 8th March 2014. IWD has been celebrated for over 100 years and this year’s theme was Inspiring Change. Women, War & Society: the First World War had a revolutionary and permanent impact on the personal, social and professional lives of all women. Their essential contribution to the war in Europe is fully documented in this collection of primary source materials sourced from the Imperial War Museum, London. These unique documents – charity and international relief reports, pamphlets, photographs and press cuttings – are published for the first time in fully searchable form, along with interpretative essays from leading scholars. The Vogue Archive: contains the entire run of Vogue magazine (US edition) from 1892 to the present day, reproduced in high-resolution colour page images. More than 400,000 pages are included. Vogue is a unique record of international popular culture that extends beyond fashion. The Vogue Archive is an essential primary source for the study of fashion, gender and modern social history. Encyclopedia of Women & Islamic Cultures Online: an interdisciplinary, trans-historical, and global project embracing women and Islamic cultures in every region where there have been significant Muslim populations. It crosses history, geographic borders and disciplines to create a ground breaking reference work reflecting the very latest research on gender studies and the Islamic world. Project Muse: provides access to almost 200 full text journals from 30 scholarly publishers, covering the fields of literature and criticism, history, the visual and performing arts, cultural studies, education, political science, gender studies, economics, and many others. 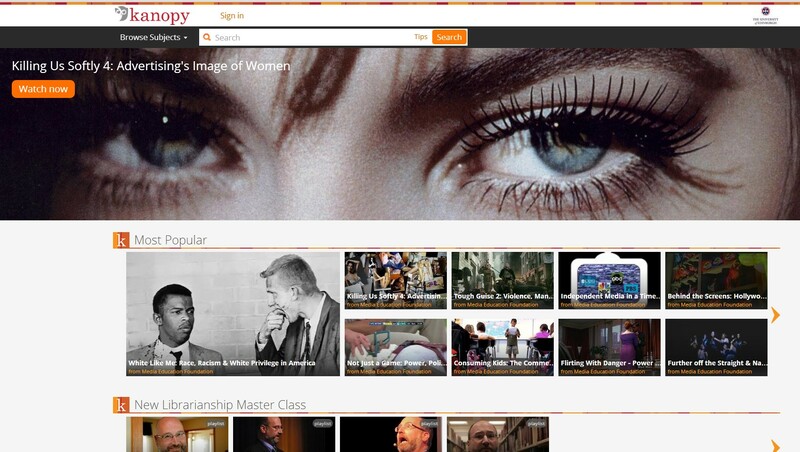 For the full list see databases for women’s studies. To celebrate International Women’s Day, the editors of the journal Parliamentary Affairs have drawn together recent publications examining the representation of women in parliamentary democracies around the world. All papers are free to access until the end of June 2014. See Virtual Issue: Women’s Representation. The Library has full access to the journal Parliamentary Affairs available to students and staff of the University, search the Library Catalogue for the Journal Title to get access.